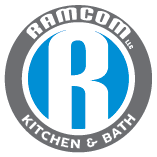 Ramcom Kitchen and Bath is not just a full service remodeling company. Electrical fixture installation and replacement is one of many services we perform on a regular basis and offer as a stand alone service to local residential customers. For a quote on your electrical fixture installation or replacement contact us for a quote. Ramcom installs all types of interior and exterior residential lighting including recessed "can" light fixtures, flush mount light fixtures, hanging "Pendant" and "Chandelier" light fixtures, wall mounted light fixtures and sconces, under cabinet lighting and motion sensing lighting to name a few. We also support and recommend transitioning to more energy efficient lighting sources like CFL and LED light fixtures. With the extensive selection of replacement bulbs on the market you can replace most if not all light bulbs in your home with energy saving LED bulbs. Ceiling fan installation is typically a little more involved than a ceiling mounted light fixture. Many ceiling fans require additional wiring to allow seperate control of the light and fan controls. When replacing a ceiling light with a ceiling fan/light combination fixture, often additional wiring will need to be fished between the switch and fixture to allow seperate control of the fan/light's features. Another aspect to consider is the load rating of the mounting system being used, Often times existing ceiling electrical boxes are not rated to hold the weight of a ceiling fan and will need to be upgraded to offer proper support. If the installation location doesn't have a electrical box or service then they will need to be installed. To receive a quote from Ramcom to replace or install your ceiling fans, contact us. 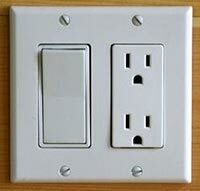 Builders typically dont install upgraded materials in a new home and outlets and switches are no exception. We've all seen outlets with chips or cracks or that won't hold a plug firmly. Switches that don't spring up or down firmly or wont work at all. 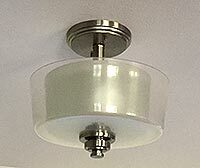 These low quality fixtures wear over time and in some cases can become dangerous. Replacing switches and outlets is a common practice during renovations. They should be upgraded after years of heavy usage in any case. Heavy duty versions are made to be more durable and have a much longer life cycle. Ramcom upgrades and installs outlets and switches in spaces we remodel, but it is also a stand alone service we offer. 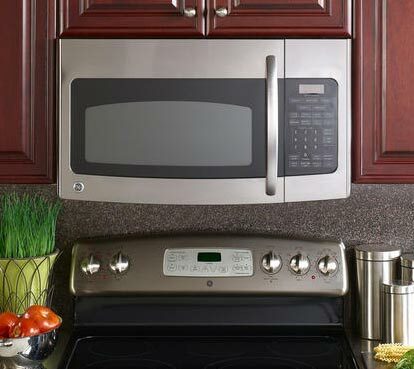 Installing a new microwave, wall oven, cooktop, stove, dishwasher or hot water heater? Ramcom can handle the job. 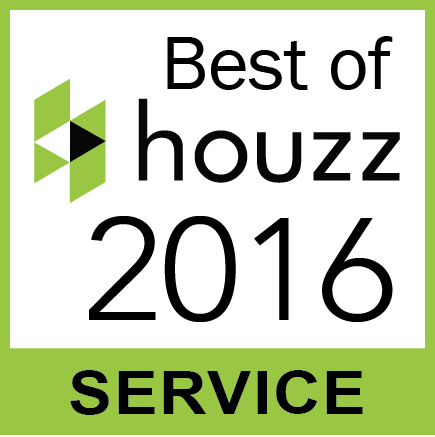 Give us a call or fill out the online form to schedule a quote.